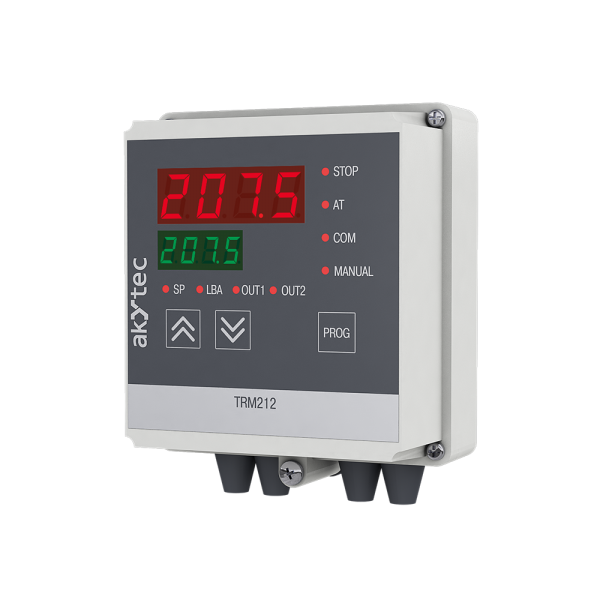 TRM212 is a PID controller from akYtec particularly for 3-step control valves, which features an RS485 interface, 2 configurable inputs and 2 optional outputs (relay, 4-20 mA, 0-10 V, SSR, NPN or TRIAC) and is available in wall or panel mount enclosure. 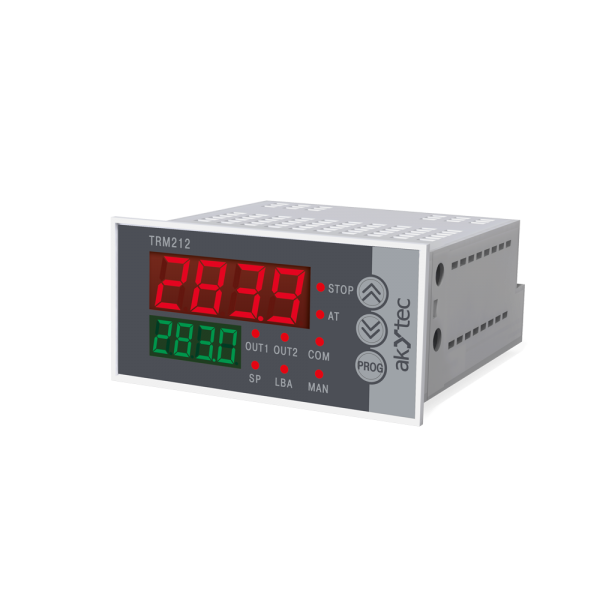 TRM212 is a stand-alone PID controller available in two enclosures: for wall or for panel mounting. A special feature of this process controller is the ability to control analog- or 3-step control valves. Depending on the device variant, you can implement it whether with an analog output or with two digital outputs. The TRM212 has two inputs and two outputs on board. The inputs are configurable and can be set for standard current/voltage signals (0-1 V, 4-20 mA, etc.) 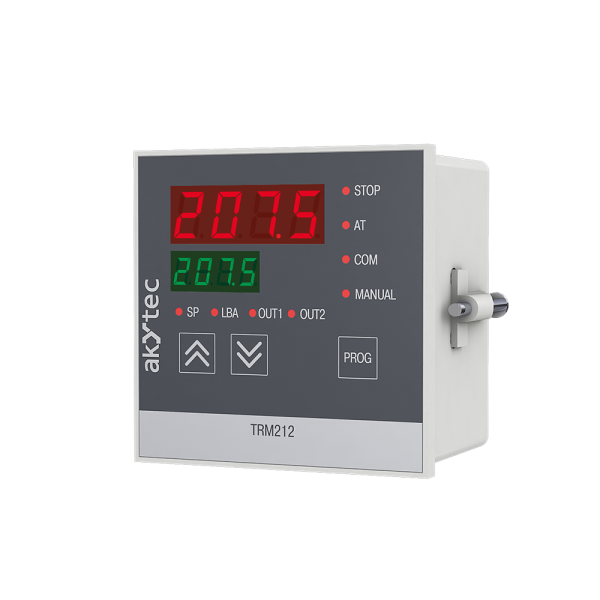 or for different standard TC/RTD signals, what allows this device to measure, display and control different physical process variables such as pressure, temperature, humidity, etc. 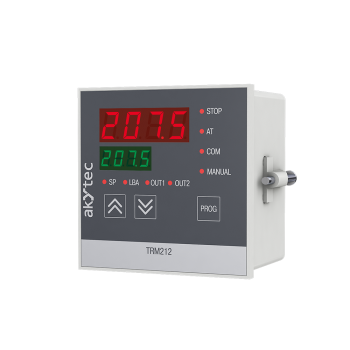 The optional outputs (relay, 4-20 mA, 0-10 V, SSR, NPN or TRIAC) and RS485 interface provide particular flexibility when using this controller for creating automatic control and regulation systems of various processes in different areas of industry, agriculture and utilities. Creating automatic control and regulation systems of various technological processes in different areas of industry, agriculture and utilities.